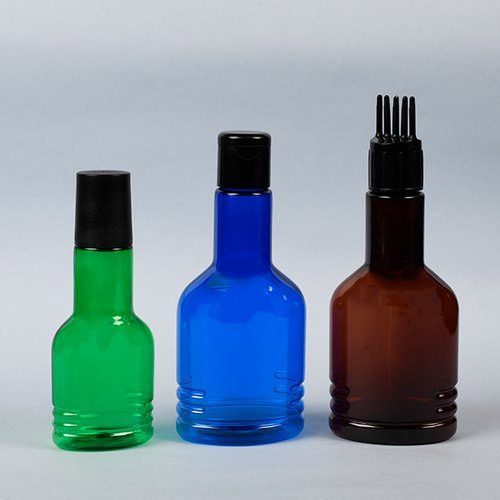 PET hair oil bottle is known for its light weight, excellent finish and attractive design. This hair oil bottle is used in different cosmetic industries for the packaging of various hair oils. This hair oil bottle is made by our adept professionals by using supreme grade plastic and injection stretch blow molding or extrusion blow molding method. 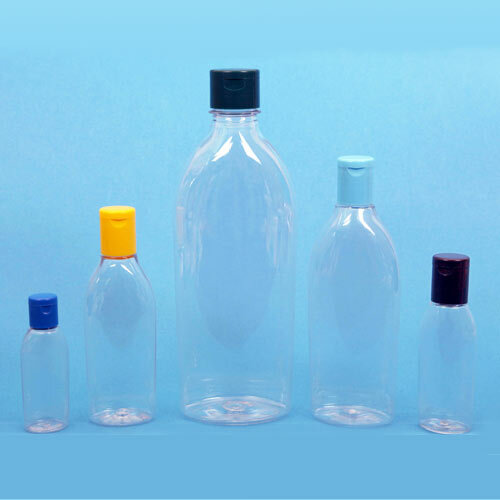 PET JLI bottle is basically a 500ml bottle which is made up of superior quality polyethylene terephthalate. It is available in varied decoration option like labeling, printing and sleeving etc. 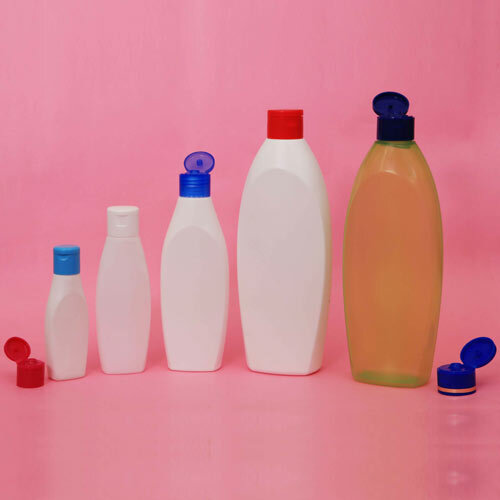 PET Lotion bottles are Pet bottles which are available with us in different standard colors. These are made by using injection stretch blow molding method and are suitable for packaging of shampoo and lotion. 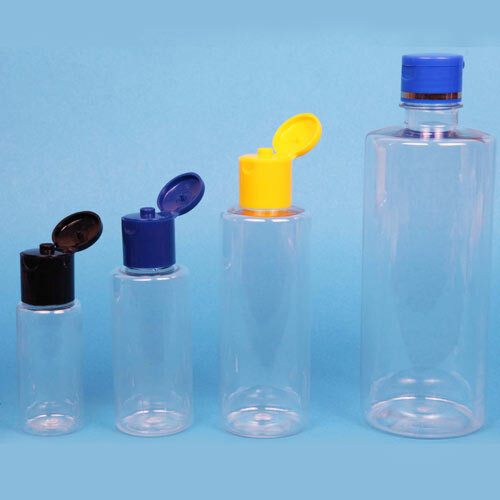 PET ASL Bottle is manufactured in different sizes and shapes by using supreme quality polyethylene terephthalate. It is available in varied decoration options such as printing, sleeving and labeling. 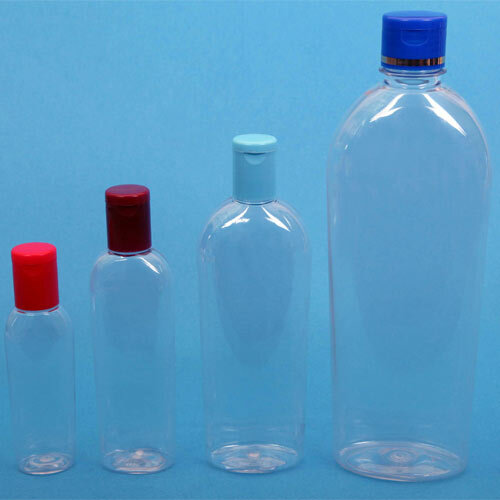 Pet Slim bottle is a supreme quality pet polymer bottle which is manufactured by using injection stretch blow molding method. Our range of slim bottles is available in varied decoration options. 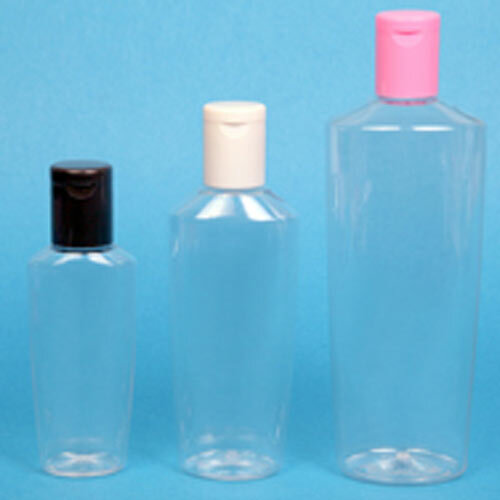 Bonito bottle is a supreme grade polyethelene bottle which is available in different color options. It is extensively used in different industries for the packaging of liquids like shampoo, oil, toner, lotion etc. 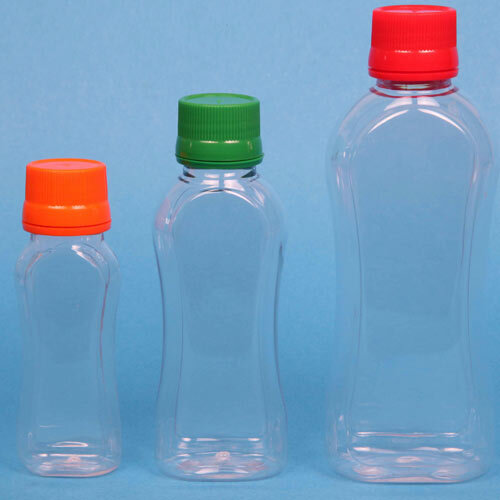 PP jergen bottle is designed and developed by implementing injection stretch blow molding method. These are widely used for the packaging of various shampoos, cosmetics and other allied products. 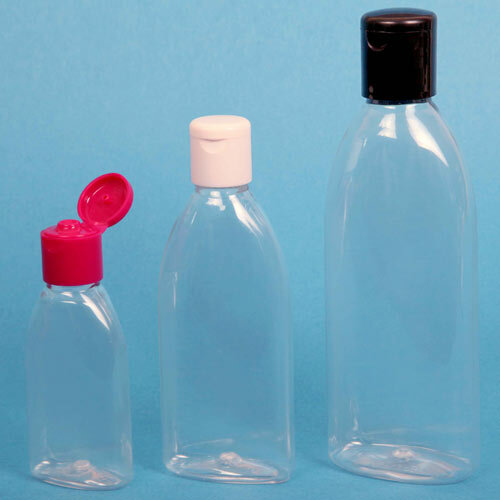 PET Tulip bottle is made available in different sizes and colors by using superior grade PET polymer. Furthermore, this Tulip Bottle is designed by using advance machines and injection stretch blow molding method. 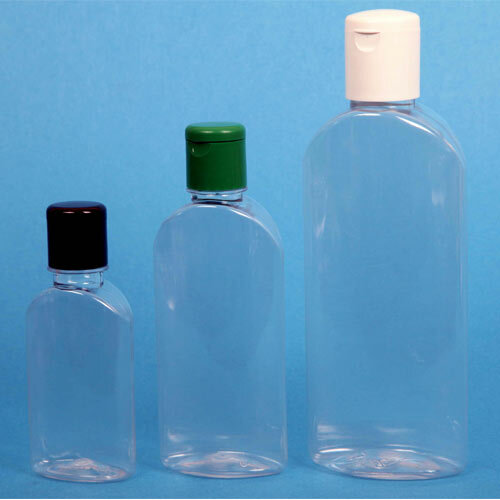 PET AGP bottle is available in various standard sizes including 200/50/100. These are widely used for the packaging of Oils, Shampoo, Lotion and other allied products. 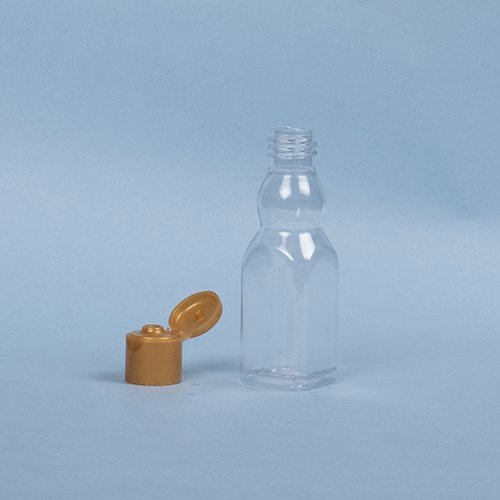 PET Flat bottle is available with us in standard color options. It is made by using latest machines and injection stretch blow molding method. 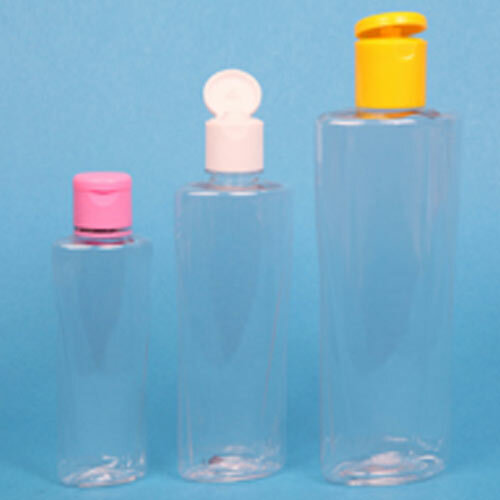 Flat bottle is suitable for filling of juices, sanitizers etc. 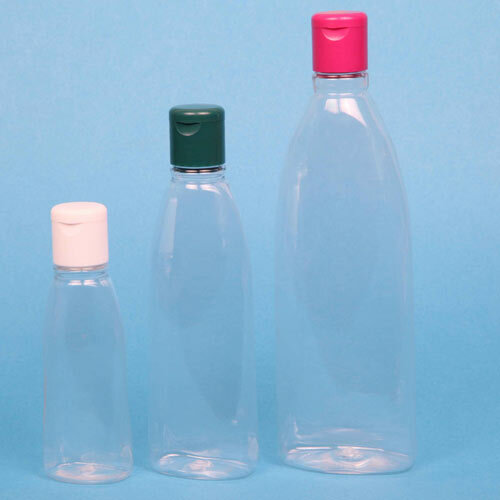 PET Korean bottle is made by using high grade polyethylene terephthalate and available in different standard colors. It is well suited for packaging of sanitizer, lotion and shampoo. Pet Pw bottles are the polyethylene terephthalate made bottles which are available in different color options. It is available in different decoration options like printing and labeling. 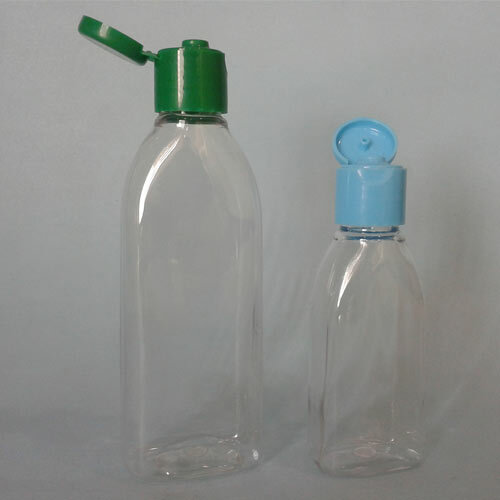 PET Almond bottle is a polyethylene terephthalate made bottle which is designed by using injection stretch blow molding method. This Almond Bottle is used for packaging of various liquids like shampoo, lotion and oil. 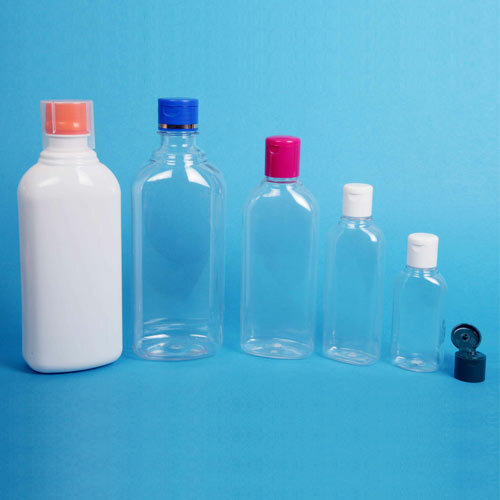 PET VXL bottle is a PET polymer based bottle which is available in different shapes, sizes and colors. It is manufactured by using blow molding method and used for packaging of various liquids.